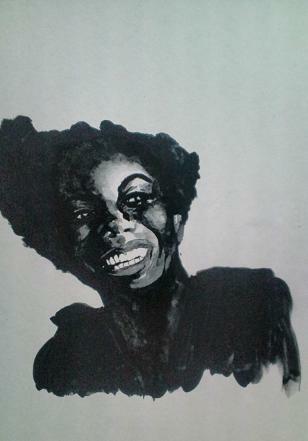 Nina Simone, again. This is a present for an old friend of mine. 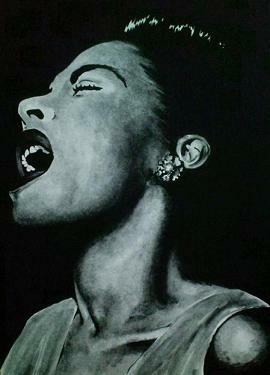 We both like her music so wanted o paint as a birthday gift. I dont know much about her, but when I looked at her pictures, I wanted to paint her so badly. If you are interested in this painting, let me know. All the paintings here are on sale. And please feel free to drop comments, would be nice to have some feedbacks, too.